While the origin of Captain Ultra Fist remains a mystery, his purpose on the Planet Earth does not: A self-proclaimed champion of justice - Captain Ultra Fist first appeared out of the blue in a flash of righteous fury to oppose all Villainous schemes. He has succeeded repeatedly, despite his proud claim of being a mere mortal man like the rest of Earth's people. 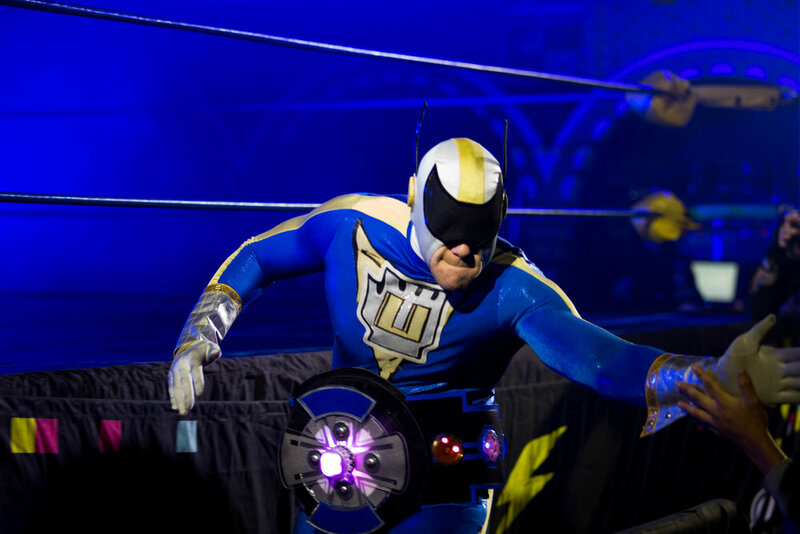 Ultra Fist has made a habit of appearing to protect others and prevent criminal acts throughout the Showdown, not caring for the competition itself or the prizes awarded to it's competitors. When things look their worst, keep your eyes on the horizon, for Captain Ultra Fist will not be far behind! 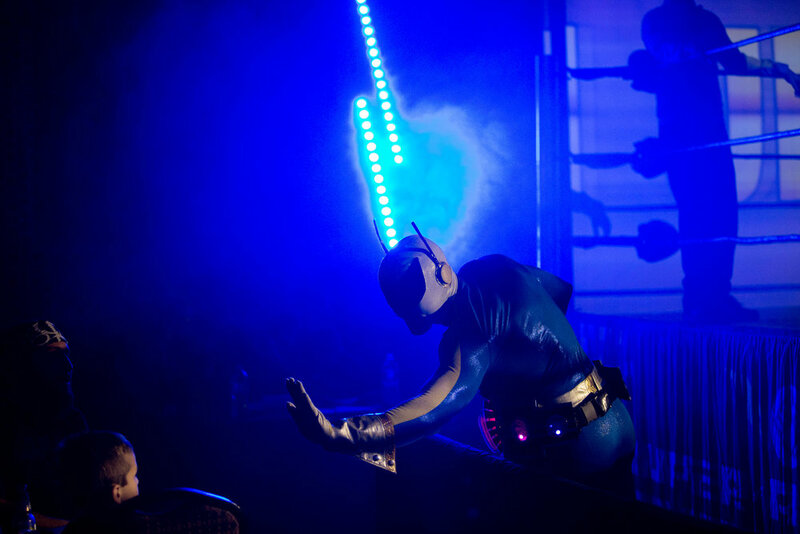 Last year at Galacticadia 3, Captain Ultra Fist saved time and space from the immaculate machine, Polybius! Thus becoming the Galactic Champion!!! !